A stunning carboy which would have been filled with colourful liquid & graced a chemist window as part of an eye catching advertising display. 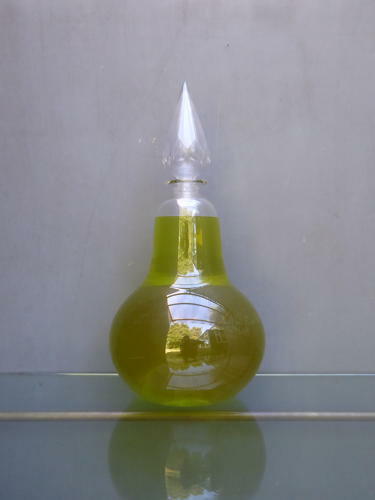 Hand blown, of wonderful form & retaining its original cut glass stopper. A wonderful example, displays beautifully. Wear commensurate with age, very good overall. As is often the case, the stopper does have some minor chipping to the top which does nothing to detract.